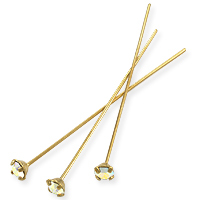 In this section you'll find Head Pins, Ball Pins, Eye Pins, and Fancy Head Pins in a variety of Metals like 14K Gold, Sterling Silver, Gold and Silver filled, Copper and Base Metal. 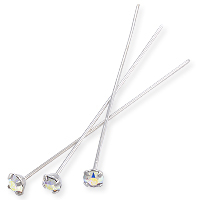 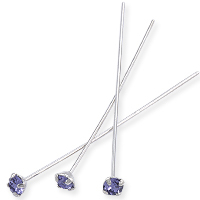 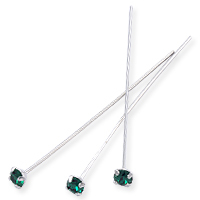 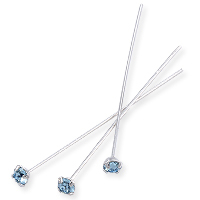 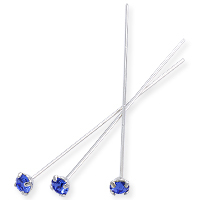 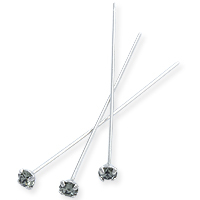 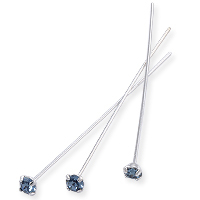 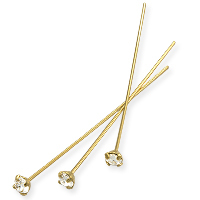 Also in this section are the beautiful Swarovski Head Pins which come finished with a Flat Back Crystal. 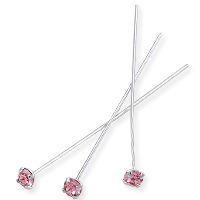 It's so easy to create beautiful Earrings and Pendants using Head Pins. 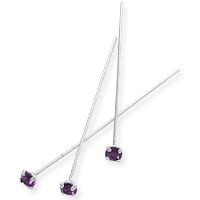 Choose the length you need, (you can always cut off a little) and string Beads onto the post. 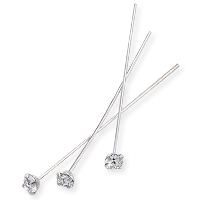 Slip the post through a Dangle Earring, the end of a Chain or Necklace, bend the Pin end closed and its done. 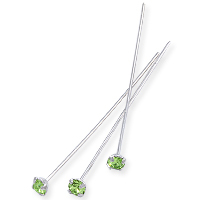 Just like that you have a one of a kind Jewelry design.